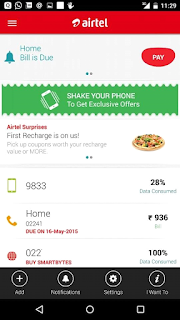 Jill Of All Trades: My Airtel, My App! My Airtel is a free by Airtel, available on the google play store and will now launch for iOS too. This app is a life-changer for a person like me, who has to keep a track of all the bill payments. It really helps me in saving my time as well my efforts. Paying the bill has never been so easy. 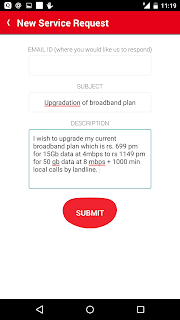 About the app: My Airtel App with its simple and intuitive design helps you manage all your DTH, Broadband, Prepaid & postpaid services in one place. 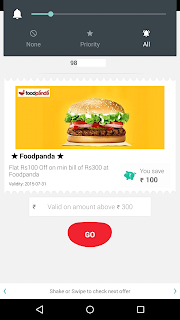 Apart from amazing offers for post paid and pre paid users it also helps you pay your bills, recharge your DTH, track account usage, track service requests, buy products, add your family & friends’ numbers and much more. 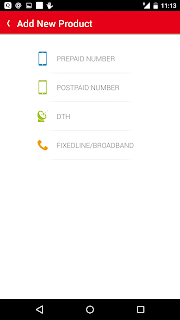 It's the simplest way to manage all your Airtel services through your handset! All features are currently available on Android. IOS release - coming soon. 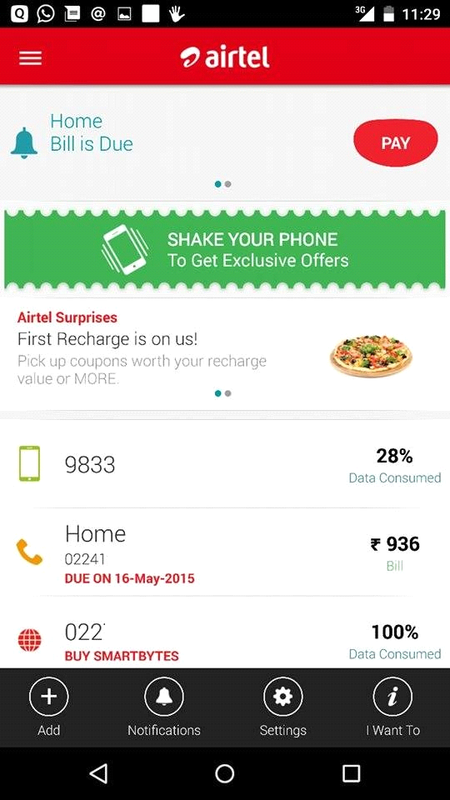 I can now keep a track of all the Airtel services I have been using! Yes, you've read it right. 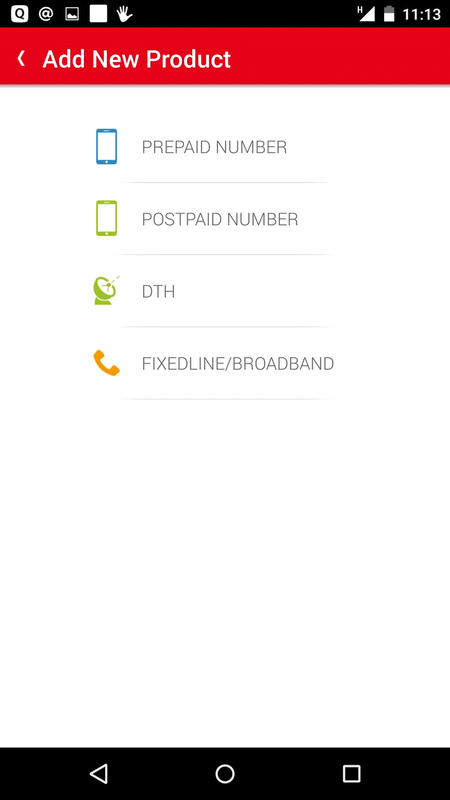 From prepaid and postpaid services to broadband and DTH services, all in a single app! Firstly after installing, It asks you to register the number. You can also register a new product later on. 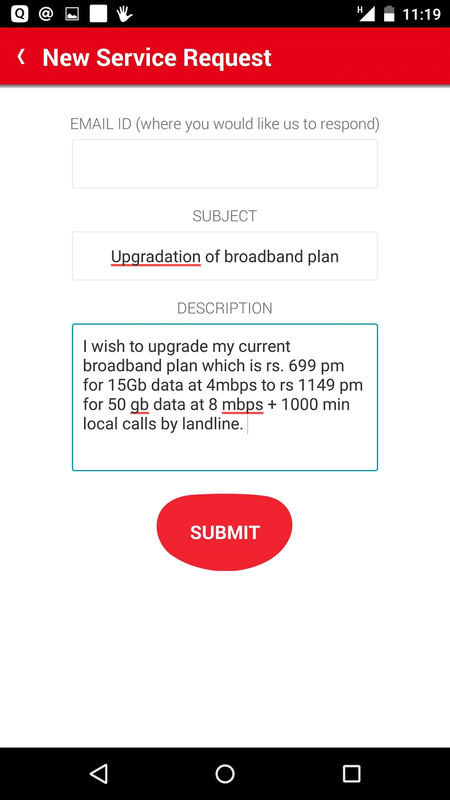 Incidently, my cellphone number, land line, DTH and even TV connection are all on Airtel, so it really time saving and organized for me. Upon registering, the home screen will then show the usage and unbilled amount/Balance/data consumed and it'll also remind you to pay your due bills which is quite good. Now with this feature, you no longer have to hear that instrumental song they play on the IVR of the customer care when they put you on hold! Simply type in your email, subject and a brief about the required service and you'll get a confirmation message soon. I wish they had a chat now option to have a live chat with their customer care representative, please roll that out in an update soon! 3. Shake the phone for an offer! 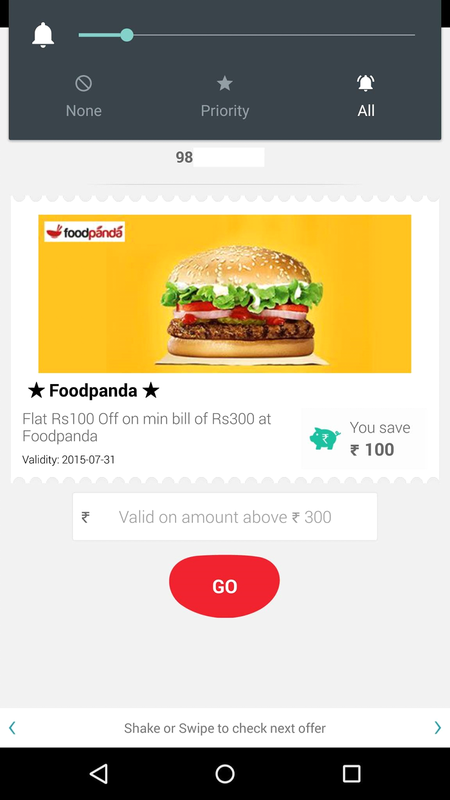 Want an offer/Coupon? Simply shake your phone while the airtel app is open and you'll get 10-11 deals of the day from which you could choose the disirable one. Here's the deal I chose! In the end, all I can say is that, I wish every company had such an app so that paying bills would become as easy as eating a cake. All my family members have now downloaded the Airtel app to monitor their phone usage, change plans and view or pay bills. Thank you Airtel for this amazing user-friendly app!